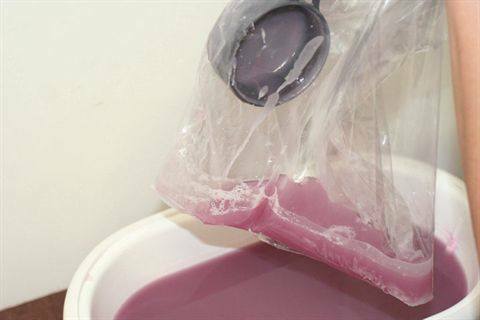 Pechey uses the “ladle” technique for paraffin, where a paraffin bath is used to warm the wax and keep it in liquid form, but when it’s time to apply the wax, she ladles the liquid wax into disposable plastic liners, and then inserts the client’s hand or foot. According to Beverly Ho of the California State Board of Barbering and Cosmetology, whenever inspecting establishments, the inspector ensures that the paraffin wax is not re-used or visibly dirty. Some paraffin users have been cited because they re-use the paraffin that was peeled off a client’s hand or foot after a treatment. This is definitely not protocol, and should never be done. But if board inspectors see that the wax is clean, and in a clean and closed container, it is not standard to write a citation. 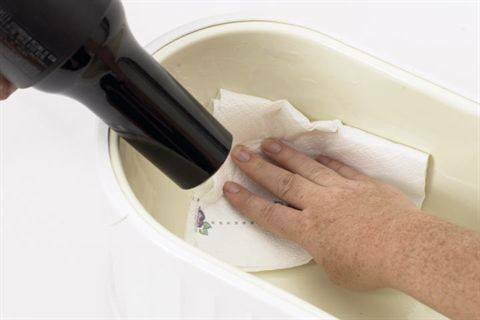 Paraffin also works great for clients who are waiting for their appointments. Offering a complimentary paraffin dip while she waits is a great customer perk, and it also helps to entice your client to incorporate it into her service. And for salons that do hair as well, offering free paraffin dips to waiting hair clients is an easy way to talk about the great nail services offered at the salon. Why not turn hair-only clients into full-service nail clients too? The pricing of getting a paraffin unit operating is relatively small. One machine typically costs $200, but can be found as low as $150 at tradeshows, and the wax itself averages about $25 for 6 lbs. Charging $10 for a service, techs can recoup their cost in one month if they can do about five paraffin dips a week. According to the latest NAILS poll on paraffin in 2005, the average price techs are charging for the service is $9.83. 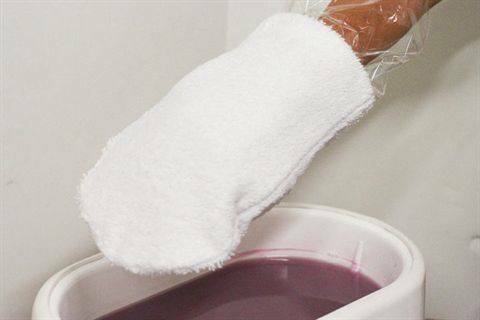 Here are a couple techniques for standard paraffin wax services at the salon. > It is recommended to have two separate baths for dipping, one for feet and one for hands. > Always keep the bath clean. > Do not service clients with open cuts, sores, or burns, and make sure they are not wearing any jewelry. > Always cleanse hands and feet thoroughly with soap and water or antiseptic spray before immersing. > If applying polish, remember to dehydrate the nail plate after the dip. > If using the ladle technique, be sure to clean and disinfect the ladle or use disposable cups. > Never reuse wax that has been applied to a client — under any circumstances. 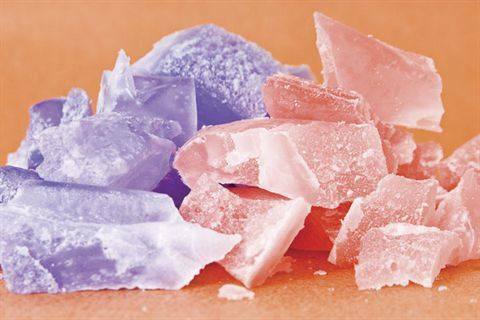 There are many different kinds of paraffin wax out there, each with its own scent. 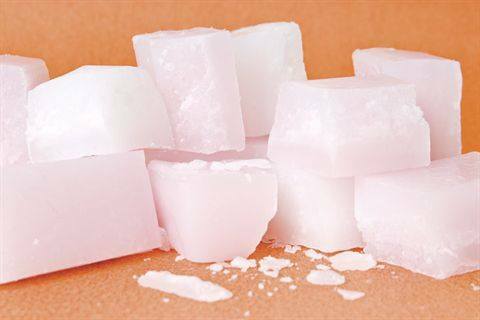 But they all have excellent moisturizing properties and are great conductors of heat to make for soothing and relaxing paraffin services. Here’s a sampling of some professional offerings. Depilève’s Tropical Paraffin Wax is enriched with mango oil and vitamins E and F to obtain an intense moisturizing treatment with a delicious and revitalizing aroma. The wax leaves the skin healthy and luminous. FPO’s Pinnacle Nurture Infused Therapeutic Paraffin penetrates at the cellular level to super-moisturize and protect the skin, replenishing vital nutrients necessary for healthy, beautiful skin. It also creates a moisture shield to prevent dryness and premature aging of the skin. 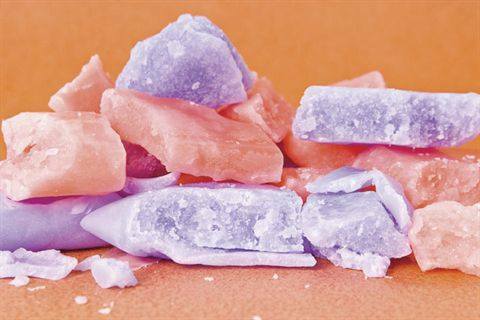 Nurture Paraffin is available in Unscented, Peachy Vanilla, Coconut Mango, Kicked Up Cranberry, and Spa Blend. 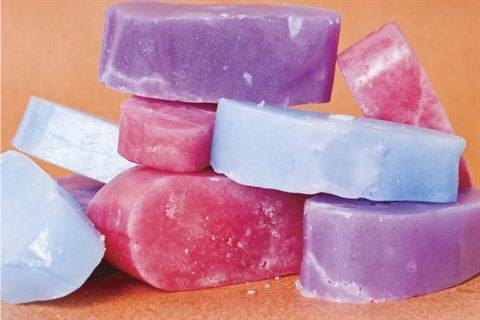 GiGi has a collection of different scented paraffin waxes. They incorporate different fruit extracts to maximize the waxes’ antioxidant and hydrating powers, and the light scents help soothe the client and relax her. Scents include Crushed Grape, Pomegranate Cranberry, and Blueberry. 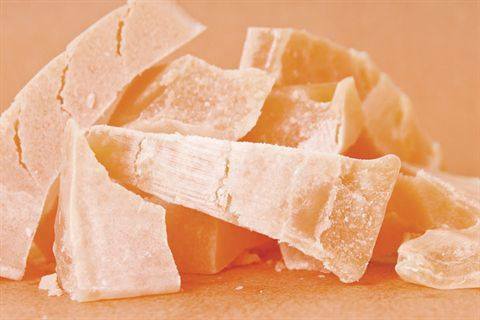 Helen of Troy’s Peach and Lavender Paraffin Waxes help bring dry, damaged skin back to life. 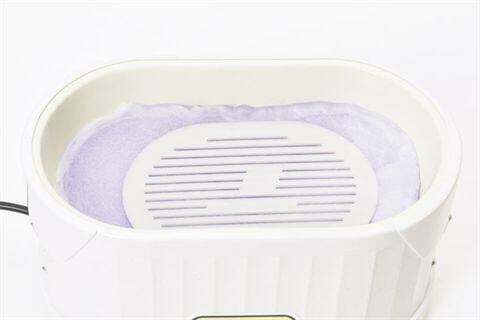 The Lavender Wax is infused with lavender oil to remove nervous tension, relieve pain, and disinfect skin, while improving circulation, and the Peach Wax uses peach oil to heal dry, sensitive skin. PerfectSense Paraffin treatments guarantee sanitary care by offering disposable, individualized treatments to every spa client. The activator and minerals in the heater pouch mix and create heat, which melts the paraffin. Each mitt or bootie has 70 grams of medical-grade paraffin inside it, and it is placed over the client’s hands or feet for the treatment. Sheba Nails’ Peach Scent Paraffin is infused with peach oil and essential ingredients to calm and smooth dry, rough skin. 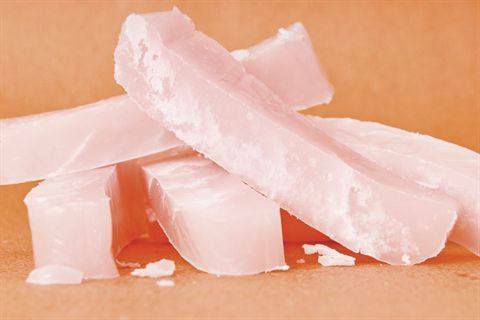 The wax creates a great experience with its moisturizing and deep-skin conditioning qualities. It also increases circulation, eases aching joints, relaxes stiff muscles, and leaves skin looking fresh and healthy. 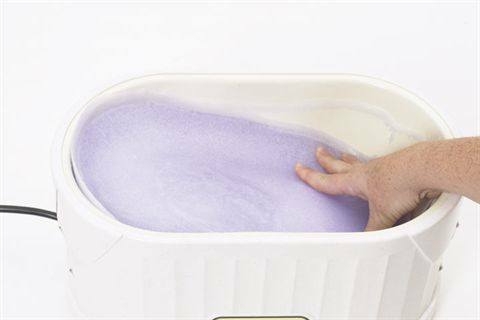 Keep your paraffin bath safe and free from microbial and bacterial contamination with Mastex’s Thermal Spa Plus Anti-Bacterial Waxes. 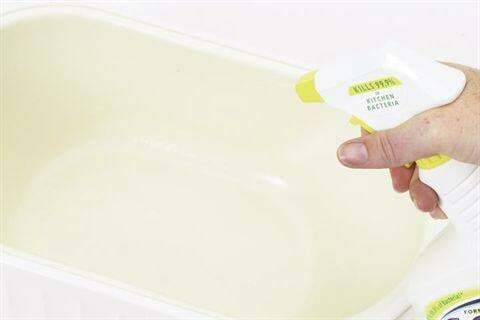 The waxes kill many harmful bacteria or other possible contaminants. 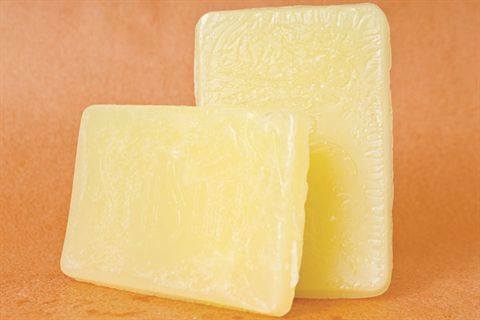 The waxes also include aloe vera oil and lanolin to moisturize and condition dry, damaged skin.